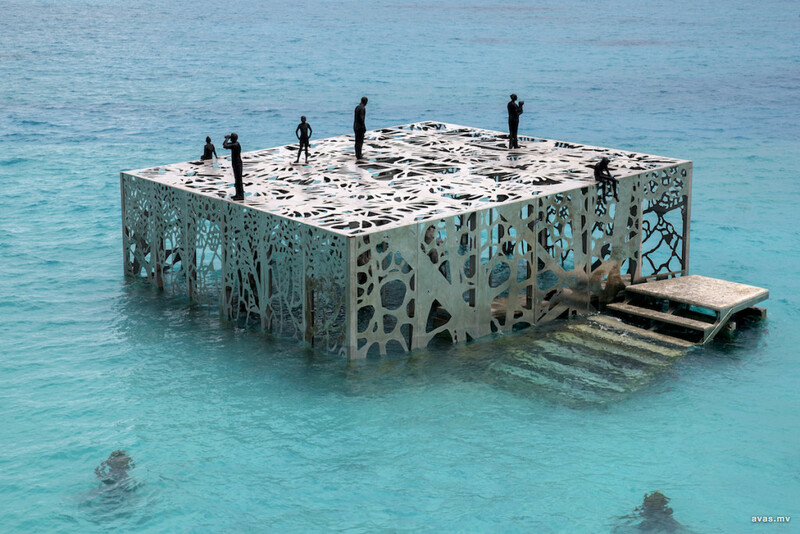 Maldives government has decided to evict the semi-submerged galvanized steel statues named 'Coralarium' at Sirru Fenfushi. 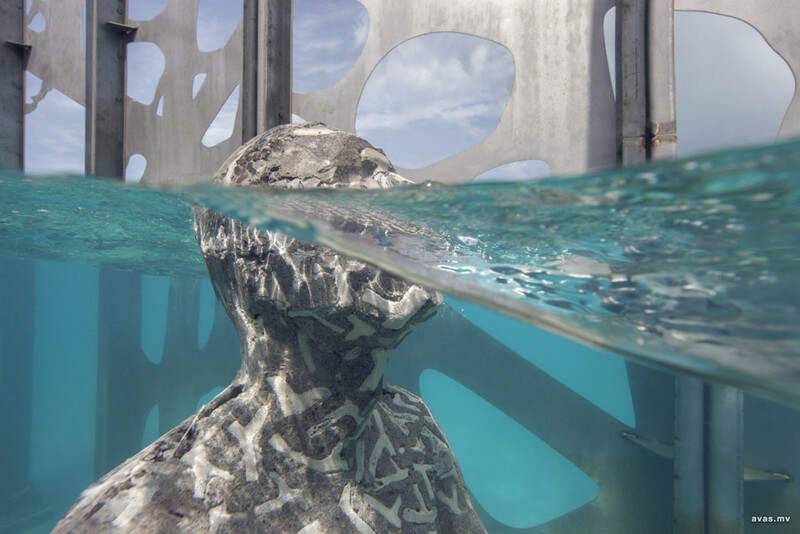 Designed by renowned artist Jason deCaires Taylor, the steel framework and the layers of statues representing climatic change and changing sea tides, first came to local headlines back in early July 2018. The news became controversial after local religious groups and scholars argued the statues had strong features resembling humans and could be used for idol worshiping. 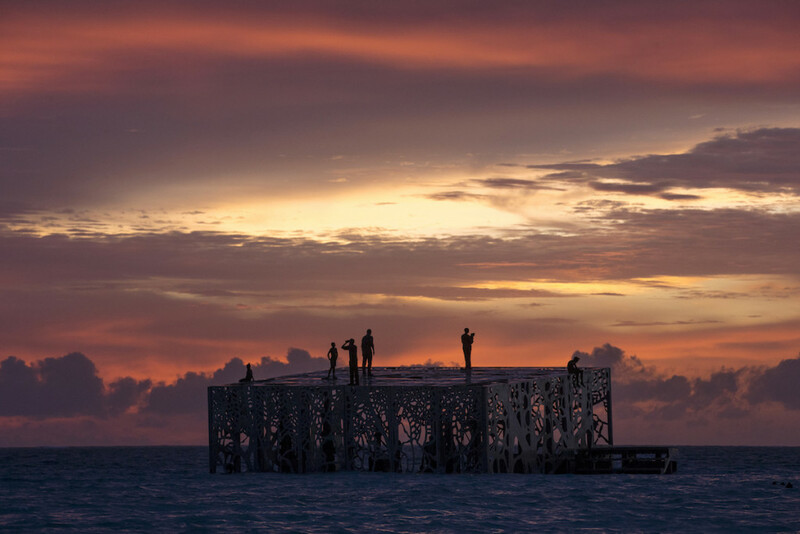 Maldives government and several pro-government politicians had echoed the same and criticized the resort for installing an artwork that could be used for promote Buddhism. Ministry of Tourism demanded from Sirru Fenfushi to evict the gallery back on July 28, however, the resort's management had not gone ahead with removing the steel structure from its lagoon. In their defense, Sirru Fenfushi noted the structure was extremely heavy and required intricate maneuvering to remove it from the location. An official of Tourism Ministry confirmed that the state issued period for the gallery's eviction has gone past due; with non-compliance from resort's management and thus authorities will soon be dispatched to evict the structure. Maldives Police Service officers - acting under court order - is expected to travel to the resort soon and remove deCaires Taylor's semi-submerged museum some in the next few days. Meanwhile tourism minister Moosa Zameer claimed the authority had not permitted Sirru Fenfushi to exhibit any art resembling humans that can be used in idol worshiping.